Need an effortless way to share news with stakeholders and customers? Planning your company’s next get-together? Wanting to send invites to important milestones or celebrations in your life? 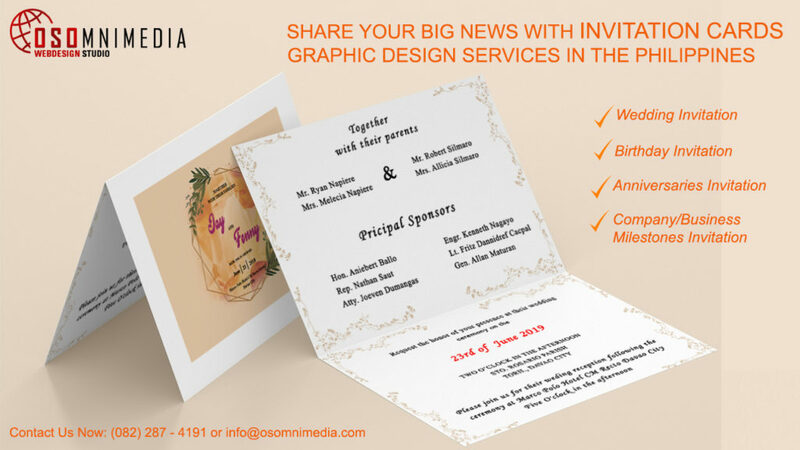 OSOmnimedia Web Design Studio provides premium graphic design services that include custom invitation card designs to help you spread the word about upcoming events in your company, business, or family. 1. Birthday Invitation Card – Once a year, each of us has a day that is just ours and our special day calls for a special celebration. Personalized birthday invitations are the perfect way to let everyone know about your once-a-year birthday bash. 2. Wedding Invitation Card – A traditional wedding invitation suite includes the main invitation, a response card, and any other enclosure card containing helpful information for your guests. 3. Anniversaries Invitation Card – Designed to capture the meaning behind this special occasion as well as your evolving style as a couple. 4. Company/Business Milestones Invitation Card – Every milestone is a marketing opportunity. It’s a chance to tell your story to your customers and your employees. It’s an occasion to get publicity, and it gives you a reason to make a splash and to raise awareness of your business in your community. The OSOmnimedia design team will help you come up with perfect & fascinating designs not only for key meetings and office holiday parties, but for any momentous event you’d like to celebrate! 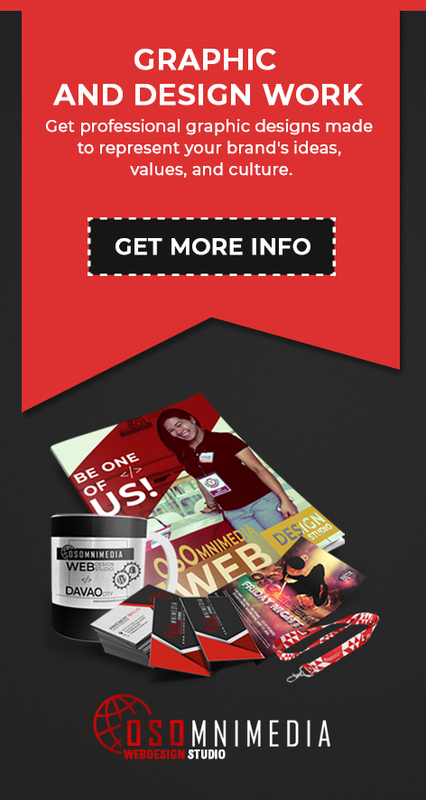 Consult with us now and give us a call at (082) 287-4191 or visit our office in downtown Davao City, Philippines.